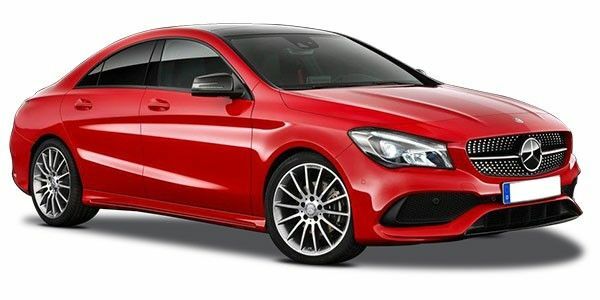 Mercedes-Benz CLA prices start at Rs. 35.99 lakh for petrol and goes upto Rs. 75.20 lakh. The prices of CLA diesel variants start at Rs. 31.72 lakh and the top-end diesel is priced at Rs. 36.99 lakh. Mercedes-Benz CLA is available in 6 variants and 3 colours. Share your experiences with CLA? The claimed ARAI mileage for the Mercedes-Benz CLA petrol is 15 kmpl, and for the Mercedes-Benz CLA diesel is 17 kmpl. The Mercedes-Benz CLA-Class is one of the most beautiful 4-door coupes today and is targeted to the young luxury car buyer. With both petrol and diesel engines, the CLA-Class is a hands down winner. Q. Which car is best for me CLA, A class or E class? Q. Does this car have a ambient light like the S class 350d ? what is that exactly called as ? is it called ambient lighting itself ? Yes, it is equipped with Ambient light. How does the facelifted CLA, Mercedes’ most affordable sedan, tempt you to step into the fold of the three-pointed star? The Mercedes-Benz CLA 200 CDI goes up against the Audi A3 2.0 TDI in the battle of the entry-level diesel luxury sedans. As an entry level Sedan offering in India, Mercedes CLA has a huge responsibility on its shoulders. Priced in the range of Rs 31.72-77.69 lakh (ex-showroom, Delhi), CLA comes with attractive exteriors and very practical and spacious interiors. The detailing and attention to the styling are of top-notch and Mercedes has taken full care to equip CLA with all the bells and whistles. Especially, the choice of materials and the quality of the plastic used inside the cabin feel very plush and premium. Under the Hood, the CLA is powered by a 136PS, 2.2-litre diesel motor and a 183PS 2.0-liter petrol engine, both mated to automatic transmission sending the power to the front wheels of the car. The ride and handling of the CLA have been tuned in the interest of occupants’ comfort. Mercedes CLA is up against the likes of Audi A3, BMW 3 series, and Jaguar XE among others. New York Auto Show 2014: In Pictures! 2014 Mercedes-Benz CLA 45 AMG: In Pictures! Audi has launched the A3 facelift in India, how it does stack up to its main rival?